Tea for Two. 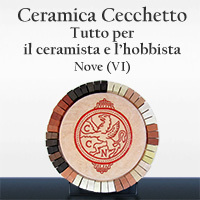 Una teiera e due tazze realizzate da ventitré artisti dell'arte ceramica: Riccardo Biavati, John Britt, Jeff Campana, Sam Chung, Robert Cooper, Guido De Zan, Christine Fabre, Carol Farrow, Mariano Fuga, Alfredo Gioventù, Kohei Hahn, Sun Kim, Yves Lambeau, Hennie Meyer, Kim Myungjin, Tonino Negri, Margareth O'Rorke, Martha Pachon, Paolo Polloniato, Elisabeth Raeburn, Gabriella Sacchi, Clementina Van Der Valt, Ann Van Hoey. Exhibition of the Ferruccio De Mori Works in Venice, in the room Dalla Zorza Ex Art Institute and now the Art School of the Carmine. from April 16 to May 1. Organised by the alumni State Institute of Art in Venice. Opening with many friends of training to the visual arts, presents the artist in the video the New President of the 'Association prof. Edgardo Rossini. Particular interest to the students of the UFO sculptures of birds and other creatures extraterrestrial. Selection of participants at the 6th International Biennial of Art in Ferrara in 2012 Edited by Alice Bretta 11 / November 14, 2011 Ferrara/Castello Estense - Sala Imbarcadero 1 the sculptors which expose their creations are: Bressan, De Mori, Farnocchia, Gaeta, Gattolin, Genta, Gonzales, Massarelli, Roli, Romano, Scarselli, Simonetti, Spinoglio, Zacchetti, Zoli. In colalboration with: Atena Cavallari Paolo Orsatti. This summer 2011, from 24 June to 30 September, will present the works of the master Toni Negri in the striking of the hotel to the beach Desiree Spartaia Procchio . The main purpose of an exhibition such as this is certainly an attempt to bring art to the people , and not vice versa, when it is more widely available and free, thus enhancing their holiday and turn it into a moment of cultural growth. The exhibition is curated by Lorenzo Anselmi and Susanna Busoni, gallery owners GULLIVER of Marciana Marina ( Elba ), where for decades, presenting works by contemporary ceramic artists of international level and also responsible for exposures outside the island 's Elba , as the international exhibition of contemporary ceramic sculpture " CONCRETA " , arrived at the 4th edition , which takes place in the Praetorian Palace of Certaldo (FI) .